I reckon I should have made the shortlist for wife of the year by now! 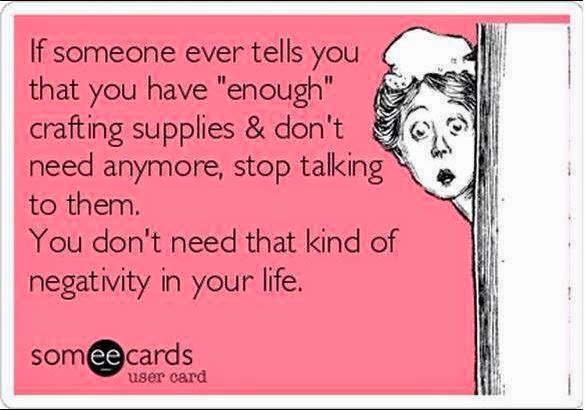 What with all the house cleaning of late and cooking up a storm in the kitchen. There was beef left from Sunday's roast and what better way to use it up than in a curry. We love curries, well Indian food in general really. Our home town Luton is very multicultural, so if you are keen to try foods from around the world then Luton has a wonderful array of cuisines to sample. It certainly has it's fair share of Indian restaurants, one in particular was our favourite and each time we have been back we've made a point of going there, if we don't eat anywhere else we at least eat there. It took us three years before we found a half decent Indian curry here, we now have a one local to us which we regularly use. But of course you can't always eat out can you? So we cook our own, Joe likes to cook Thai curries and I like to cook Indian. You can find the recipe here rather than type it all out but I do have photos.. I made a pilau rice to go with it, no measurements, I just winged it whilst referring to two different recipes. as I was doing all that I had 2 x 1/3 cups of basmati rice cooking in another pan. I find 1/3 cup per person is more than ample a serving. Once the rice was cooked, I tipped the rice into a fine meshed sieve and poured boiling water over it to rinse off any starch, I can't be faffing with rinsing at the start, my method works just fine. Put the cooked rice into the pan of onions and spices, mix it all together well and serve. It was bloody lovely if I must say so myself. So what's your favourite meal? OMG....YUM! I love Indian, and love a good curry! I make Madhur's chickpea flour pancakes pretty regular, but haven't tried any of her other recipes. I use Anjum Anands books a lot though. 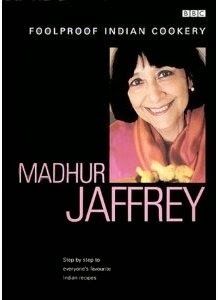 I did read Madhur's autobioography, that was lovely! I'm planning a big Indian feast for our bi-weekly veg nigh this coming Monday, perhaps I should try something new.....! Yummo you have lots of delicious looking meals at your place!! I love reading your comments and I thank you for taking the time to write them. I do my very best to reply to every one of them right here on the blog. When you leave your next comment tick the 'email follow up comments' and then you'll get any replies I leave. Thank you for reading my blog. 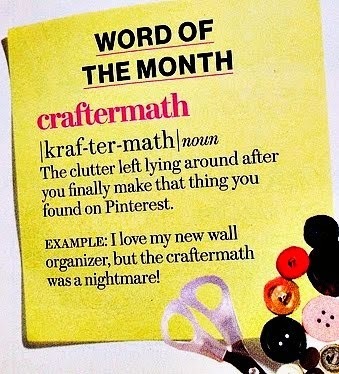 Week 52/52 - We Made It!!!! Share book reviews and ratings with Sue, and even join a book club on Goodreads. ...you can click on the photos to make them bigger! Go on, I dare ya! 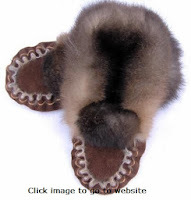 Customised moccasin slippers from sheepskin or possum fur, baby booties and novelty items. Everything you need to keep your toes and other bits warm throughout the winter. Kozi Toez product range offers unique gifts or just pampering for yourself.